I am broadly interested in the history and material politics of large-scale infrastructures in the modern Middle East and the kinds of expert knowledge (economic, scientific, and technical) generated about them, particularly concerning energy networks. My research and writing draws on tools from science and technology studies (STS) and post-colonial theory to rethink historical and political analysis with specific regard to non-human actors. I completed my PhD in the joint program in History and Middle Eastern and Islamic Studies at New York University. I was previously a post-doctoral research fellow at the National University of Singapore and a visiting research fellow at the Institute of Advanced Studies at University College London. 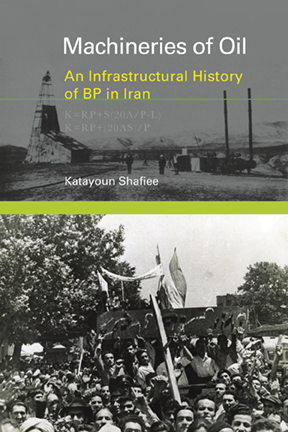 My first book, Machineries of Oil: An Infrastructural History of BP in Iran (MIT Press, 2018) brings together histories of the Middle East with interdisciplinary thinking in STS to reconfigure the politics of the Middle East through a study of the British-controlled oil industry in Iran. I have published articles on the politics of petroleum formulas, the racial-technical regime of oil labour, and the transformative role of Anglo-Iranian oil in international law. I have a forthcoming article on the unusual role that cost-benefit analysis of neoclassical economics played in the politics of water resource development in Iran. My new book project is to write an infrastructural history of risk in the building of a large-scale dam in southwest Iran, along the Persian Gulf, while continuing to consider the centrality of technologies of energy development in shaping political possibilities in the twentieth century. 2018 Machineries of Oil: An Infrastructural History of BP in Iran, (Cambridge, Mass. : MIT Press). 2019 'Risky Measures: Governing Democratic Futures through the Assembling of Iran's waterways in the Infrastructure of International Development,' Social Studies of Science (forthcoming). 2018 'Techno-Politics of a Concession Contract: How International Law was Transformed by its Encounter with Anglo-Iranian Oil,' International Journal of Middle East Studies 50(4): 627-648. 2012 'A petro-formula and its world: calculating production, labor and profits in the assembling of Anglo-Iranian oil, 1901-54,' Economy and Society 41(4): 585­-614. 2018 Review of Britain's Quest for Oil: The First World War and the Peace Conferences, by Martin Gibson, The Economic History Review 71(4): 1421-22. 2015 'The impact of the Iranian nuclear deal on domestic developments in Iran: various key trends,' Singapore Middle East Papers, Middle East Institute, National University of Singapore, no. 17, October 12. 2014 'Mobilizing US National Security in the Reassembling of Anglo-Iranian Oil in an International Oil Consortium, 1951-53,' Middle East Insights, Middle East Institute, National University of Singapore, no. 116, September 2.